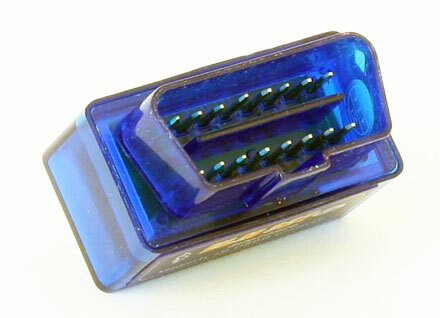 Adapter is comptible with Centrafuse. OBD-II Bluetooth is the latest scan tool. It supports all OBD-II protocols. The output protocol (connection to laptop or car-pc or smartphone) is Bluetooth . Please login for creating product ratings. Please tell us your opinion. Rate the product on a scale from 1 to 5. A value of 5 means the best possible rating. If you want you also can leave a comment. Your ratings are honored on many ways. Your report will help other customers to better judge about the products. And you can benefit from reports other customers are giving. In addition we credit 0.50 EUR for each given rating with comment and 1.00 EUR for each given rating with comment (more than 150 characters) on your account. The credit will be substracted automatically on your next order ! We reserve us the right to delete given comments (for example on attempts to give comments with senseless content, copying of other comments, inserting of foreign content, abusing the system for financing orders). "Fair-use-policy" does apply (as of rule of thumb you should give comments for products which you have purchased already. And your credit account only in rare cases will have 2 or even 3 digits). The credit can only be withdrawn by placing an order. It is not possible to get the credit cash or transferred in an other way. Works really good with androids app, does not work with iOS.